. We even entertained Friday night. As far as weekends go, this one was definitely good for our mental health, and much needed. only lasted for a couple of days). After that long of a hiatus one really doesn’t want to rush into anything too complicated too quickly, and we were in need of some instant gratification. Spring greens are abundant right now and any variety would do, but I think that the spicy bite of the mustard greens really makes this dish shine. 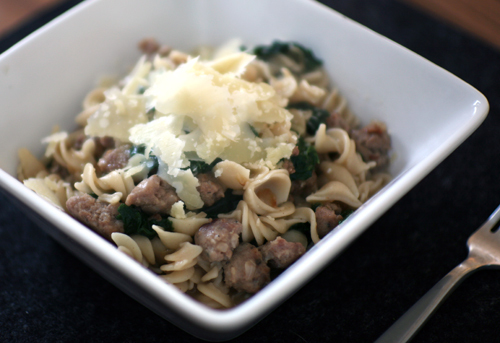 If you decide to use a milder green such as kale or swiss chard, you might want to kick up the flavor with hot Italian sausage instead of sweet, or some red pepper flakes tossed in the skillet with the onion and garlic. Boil pasta, drain, return to pot and set aside. 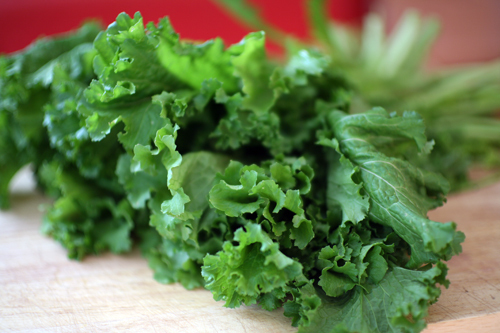 Rinse mustard greens and drain. Saute' sausage in non-stick skillet for 2-3 minutes. 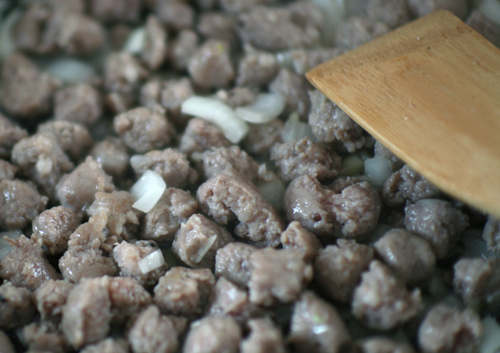 Add garlic and onion and continue to cook until sausage is browned. Add mustard greens to skillet and cover. Cook mixture, stirring occasionally, until greens are wilted (4-5 minutes). Meanwhile, heat chicken broth over medium heat in small saucepan. Whisk in 1/2 cup of shredded parmesan cheese, stirring until cheese is melted. Add fresh parsley and allow to simmer for 5 minutes. Pour parmesan broth over cooked pasta. 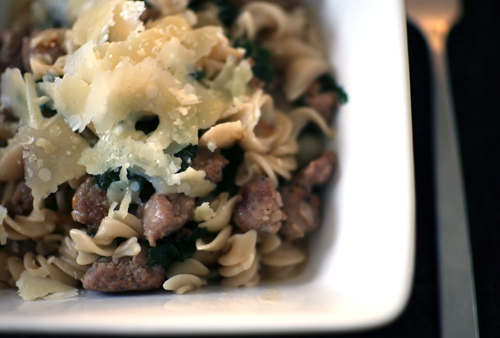 Add sausage/mustard green mixture and stir well. 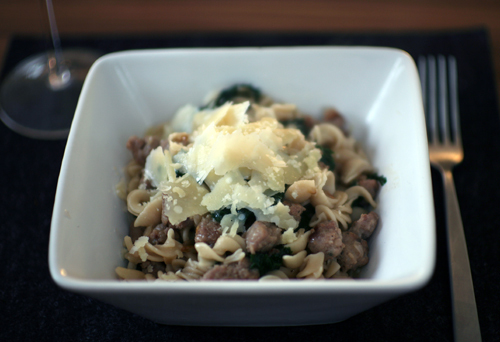 Serve immediately with parmesan shaved over the top.